So, I love to bake. Love it. LOVE LOVE LOVE LOVE LOVE. I also love to be cheap. LOVE x INFINITY. I think one of the biggest wallet blows whilst baking is a good vanilla extract. I’m always a little gutted to walk down the aisle and see the price of a decent vanilla extract(and personally I just can’t bring myself to buy the imitation, I love baking and I respect baking). When I started reading around, poking about Pinterest, et cetera, I saw a recipe for vanilla extract. What did I say? 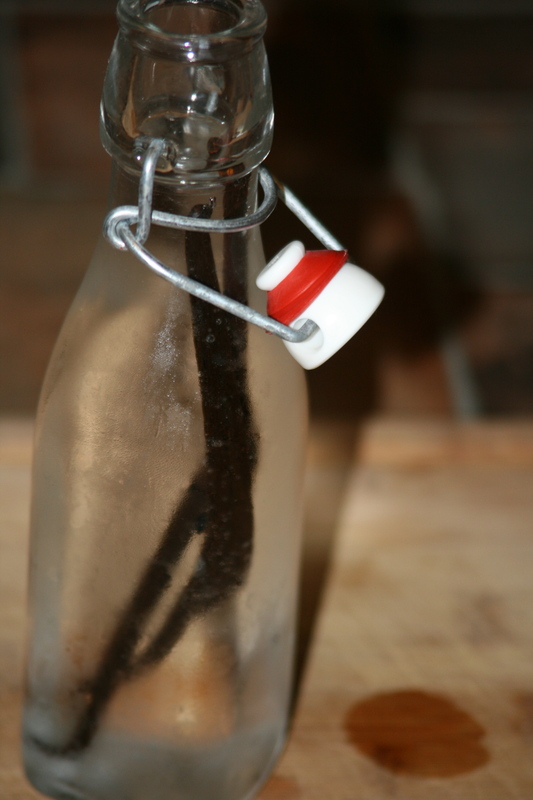 YOU can make your own vanilla extract! Guess how much it’ll cost….go ahead…. Clean your container and make sure it’s nice and dry. Get out your vanilla beans and slice them length wise(my favorite part because it smells so yummy and I spent all night sniffing my fingers like a weird beast) then place them in your container. Use your funnel and pour your vodka into the container. Put lid on and place in a dark, dry area. Now comes the hard part: let it sit for 8 weeks, shaking every day. I try to shake it when I get my morning coffee together. You can use them just like store bought vanilla extract. Some people top it off as they go, some people wait until it is low and then refill it and wait another 8 weeks. You can use these beans over and over for I’ve read 8 months to a year. I’ve read some people who said that they have gone even longer. *Some people use the casing of the vanilla beans after using the beans for another recipe, also. If you need your beans for something, you may as well try it out, right? **You can use other types of alcohol for you base. I’ve read that some people have had wonderful results with Jack Daniel’s in particular while some people have used rum. Try different things out. You can buy 2 vanilla beans for the price of a bottle of vanilla extract so you will end up winning either way. If you look at my bottle in particular, you can see loose vanilla beans in the bottom and oils in the top. The color has obviously shifted from completely clear to a nice amber/brown. I can’t wait to try it!! 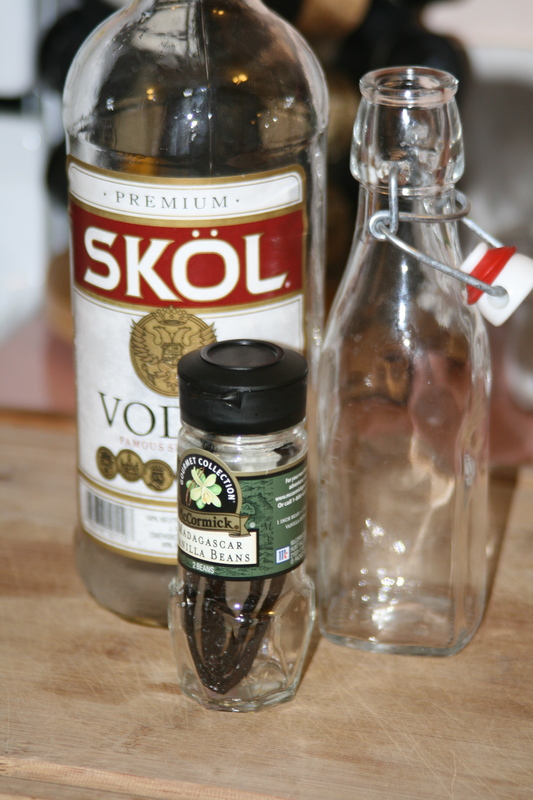 This entry was posted in Uncategorized and tagged cheap, crunchy, diy, easy, extract, inexpensive, make it yourself, simple, vanilla, vanilla beans, vodka by themcdorkins. Bookmark the permalink.